"Since opening in December, the bookshop has become popular among students, academics and expats, especially for its fair pricing system – which sees English language books on sale for the same cost as in the west. Set up by three friends with a fascination for the English language, Nicolae Ion, Dan Nicolaescu and Vlad Niculescu, the shop is located in an arcade opposite the Kretzulescu Church on Calea Victoriei, around the corner from the Orange Concept Store. One of the store’s unique selling points is helpful staff who know what they are talking about. For browsers, this makes the experience of speaking to shop assistants a pleasure rather than an act of public humiliation." 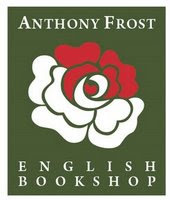 The Anthony Frost Bookshop, the first all-English bookshop in Bucharest which opened in December 2007, stocks titles from various domains such as art, architecture, children's literature, comics, fantasy, fiction, biographies, humanities, science, sport and travel. The books come from known publishing houses such as Penguin, Faber & Faber, Random House, MacMillan and publishing wings of universities such as Cambridge, Yale and Harvard. All books are sold at their regular prices. what`s the deal? which Anthony Frost are you talking about afterall? raliu, the misunderstanding has been solved via email..
Antony Frost, the bookstore, has nothing to do with Antony Frost, the English artist. The owners just decided to name the bookstore after a friend who just happens to bear the same name as the artist. Hopefully that clears it all up. hey! do you happen to have sound design by david sonnenschien ? and if you have it how much it costs? Just visited the shop today, mistakenly thinking it had a second hand section. The two gentlemen there could not have been more helpful or friendly (I think I looked a bit despondant! ), offering me some second hand books for nothing in return for the ones I had, and making myself and my boyfriend a coffee each. The main book selection was fantastic, so varied, and we browsed for ages; both of us remarking that we wanted to buy more than we could afford! A fantastic example of customer service, thank you so much! 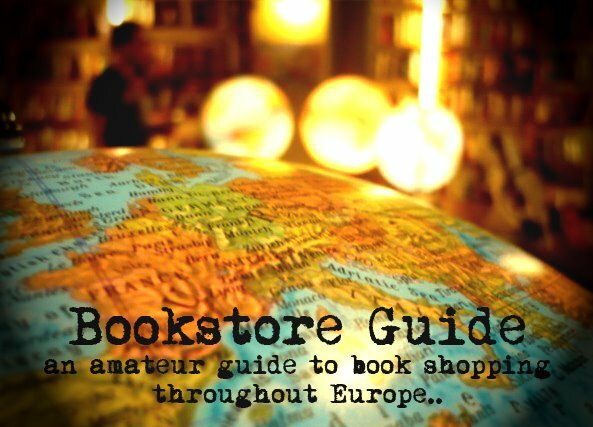 The statement that it is "the first all-English bookshop in Bucharest" is not correct. Nautilus had been founded years earlier. Anthony Frost is now permanently closed!